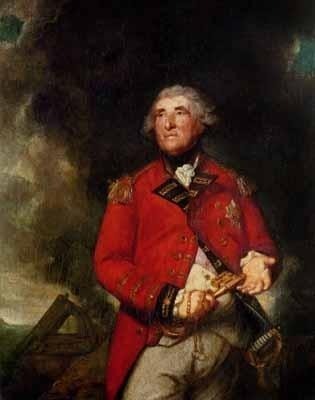 Sir Joshua Reynolds was one of the main pioneers in British art and helped to define different concepts, not only for British painting, but across the Western world. Reynolds was a renowned intellectual who socialized in the elite social circles of London and received most recognition for his portraits. 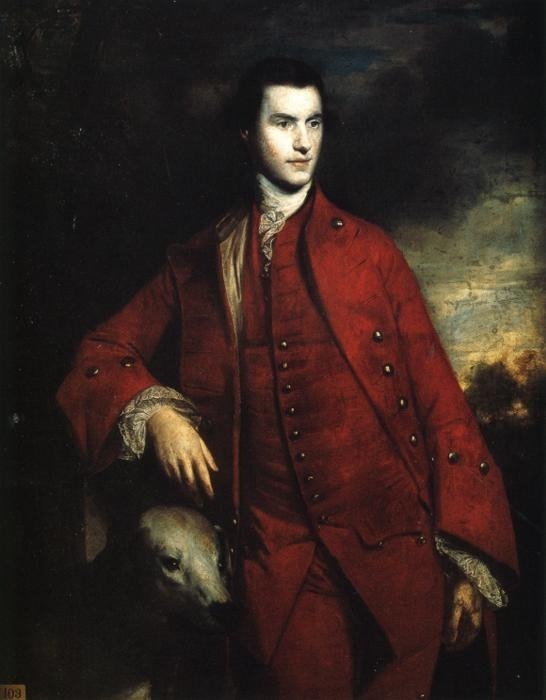 Reynolds specialized in historical works denoting the modern-day gentry as Classical subjects. 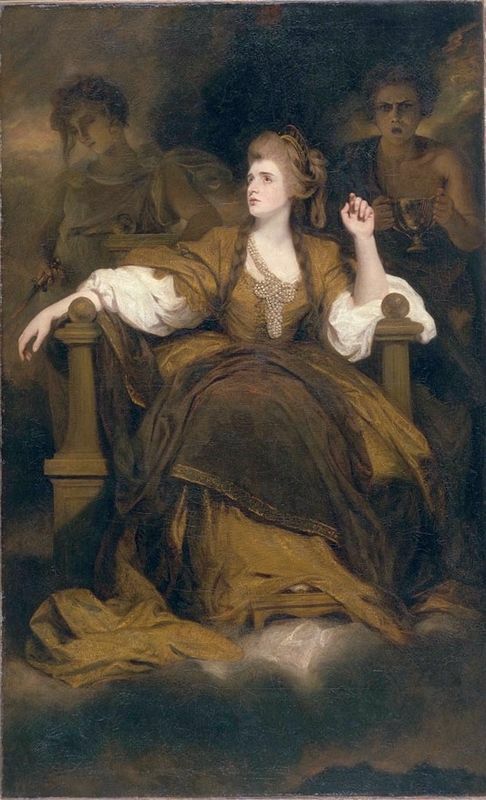 This new approach of depicting the elite subject as Gods and Goddess of mythical origin proved beneficial for Reynolds as he became immensely popular while many orders came streaming in from patrons. High society wanted nothing more than to be painted as mythical characters, which elevated their personality and the values or virtues they stood for in real life. 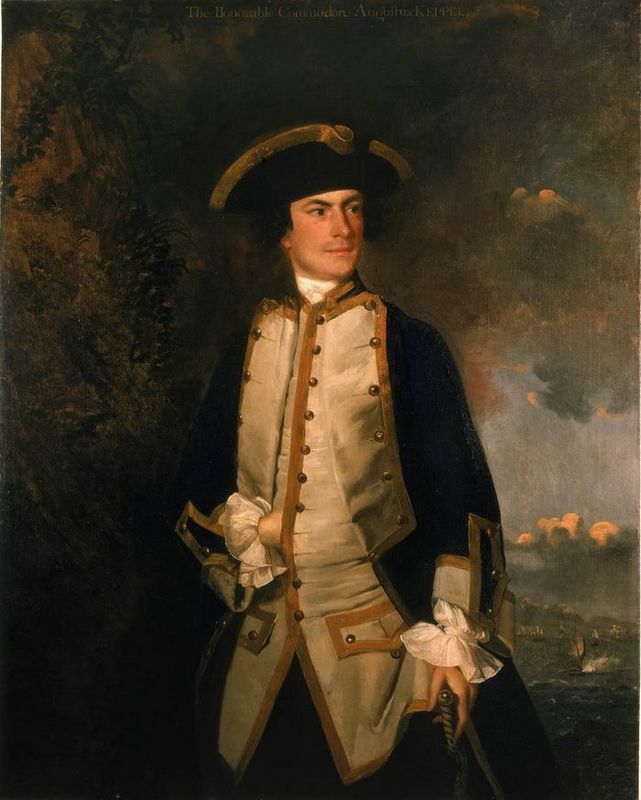 For flesh tones, Reynolds used black, blue-black, lake, carmine, white, orpiment, yellow ochre, ultramarine, and varnish. Reynold's brush work is smooth and not heavily applied to the canvas. His strokes are long, hard, and broad in nature. He does not completely blend his brush work in his paintings, which makes them very clear and bold. Reynolds's works were huge; most were done on an extremely large scale. This allowed him to be free with his brush work as he brought the strokes across the canvas, highlighting and darkening where he felt appropriate. Reynolds used different types of brushes in various widths and lengths to help him create the finer detail, particularly in his portraits. Yet, Reynolds also tended to use very loose and free lines, which he made in dark and bold colors. The artist painted various colors upon one another so the paint could mix as naturally as possible. However, his paint application never became excessively thick. 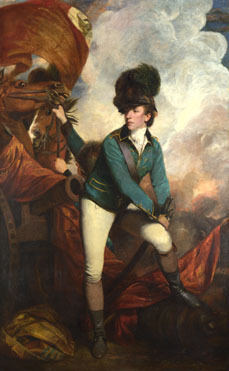 Reynolds ensured that the positioning of the core lighting was always upon the main figure and his background landscapes were also accentuated. He created stark shadows where necessary and bold highlighting to emphasize the primary color, so the eye could follow a harmony in the works that created a natural, three-dimensional effect. Reynolds also used varying degrees of chiaroscuro with his color schemes by darkening and highlighting the tone where appropriate to create depth. This worked to accentuate the sitter's space in the image and render a realistic view of the sitter on the flat canvas. Reynolds paid great attention to the background draperies, props and clothes. Their numerous folds and textures helped define the light source and the depth of the picture. Thus, accentuating the folds of fabric added realism to his works. The artist felt that the breadth of the light provided was very important. The amount of light given to the work had to fit with the rest of the picture to create harmony and maintain the elegance of the portrait. To achieve the desired color, Reynolds would first lay the carmine and the various white tones, depending on the tone he wanted. The second layer would be the orpiment with more white, and finally he would apply the blue-black and white. It was most important to get the mixture on the palette as close to the sitter's real complexion as possible. It was one of the first things Reynolds did concerning the color scheme after the initial sketch. His mixing techniques have become legendary. Unlike the previous century when paints and pigments were limited and expensive to obtain, the 18th century afforded far more availability of paints to artists. Reynolds felt that blatantly mixing the colors would affect the natural blending so he opted to layer the colors while still fresh and wet. If the color needed to be lighter or darker, he would then apply additional layers. By layering the wet, soluble colors, the paints were allowed to have a fresh, clean appearance. Reynolds believed the eye had to feel the colors, not merely see them. Reynolds used a primary color such a red as the main force in his work. He then would include reds all over the work to help redirect the eye to the primary color to emphasize the sitter's flesh tones. He always used bold colors to create unity in his works instead of softer tones. 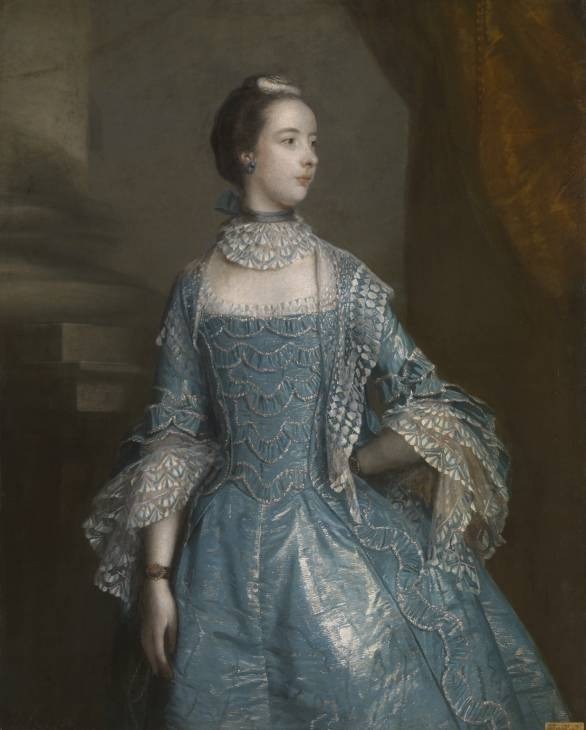 Reynolds also felt that the artist should decide how to position and place his sitter in action or with an object that would best accentuate their personality. He looked to depict the sitter in such a way that viewers could relate to them as a person. Reynolds was a man of organization, not only in his daily life, but in his painting techniques as well. He would note and write down his various techniques for the different stages as he worked on a portrait. Every aspect was separated and well noted so he could go back to see what other aspects he could redefine and mix to bring new methods to his portrait painting.